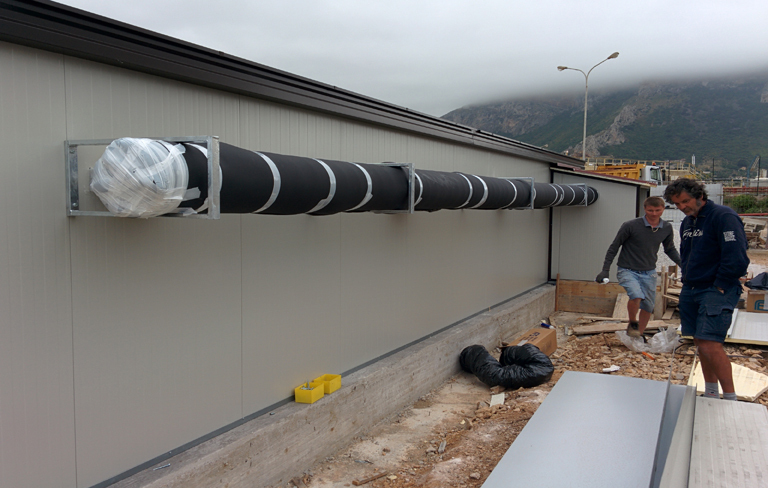 The Air-to-air heat exchanger allows to use heat recovered from exhaust air to temper the fresh air coming into the building. 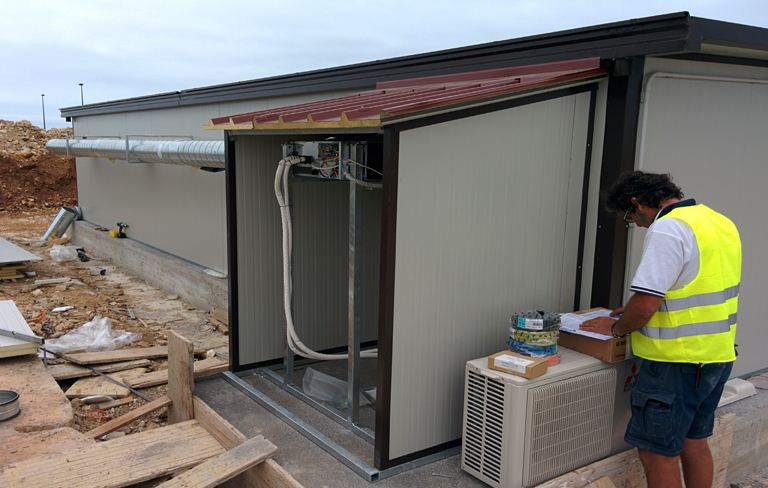 The system allows a minimum of 70.6 CF*/hr (1,17CF per minute) which means the air in the kennel will be totally changed 2 times per hour making an odour free, healthy working environment. This is a very effective system to get rid of mites, pollens, dusts while reducing the Risk of Bacterias and virus which can prevent the spread of infections. 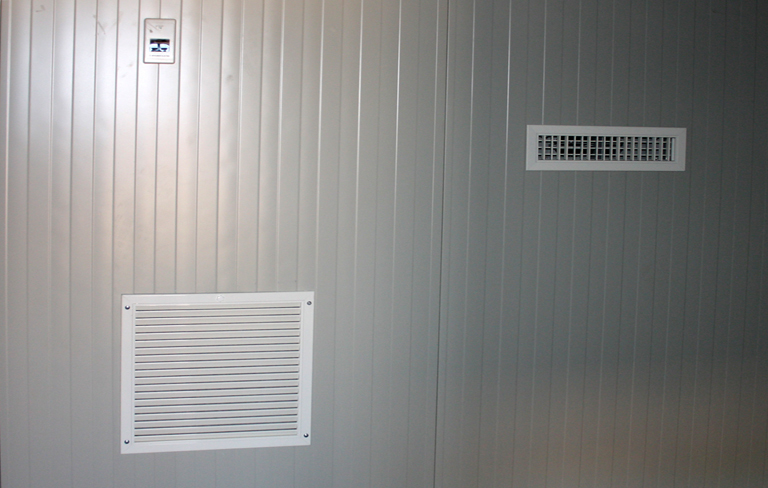 One of the most effective measures to prevent microbial and bacterial proliferation is controlling relative humidity through adequate levels of air exchange rate. A crossflow aluminium plate exchanger assures an efficient heat exchange between exhaust and fresh air: therefore the fresh air is pre-heated or pre-cooled according to the seasons. The supply air is filtered before entering the heat recovery exchanger that is protected with a synthetic filter also at the exhaust air side. 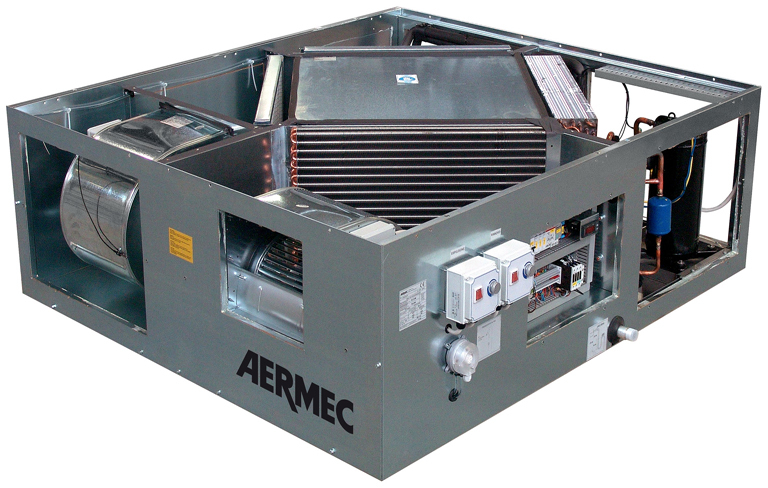 The supply air can optionally be re-heated with a hot water coil or with an electric coil. The Heat Recovery combine in one mono-bloc unit, besides the fan,filter, and heat recovery sections, a heat pump refrigerant circuit with scroll compressors of high output and low noise. ensures a high rate of air exchange efficiency.